My wife's ever reliable Mk4 Golf is about to be sold or traded for a new Mk5, so now is your opportunity to buy what must be the cheapest, one owner, full history Mk4 Golf for sale in the UK. 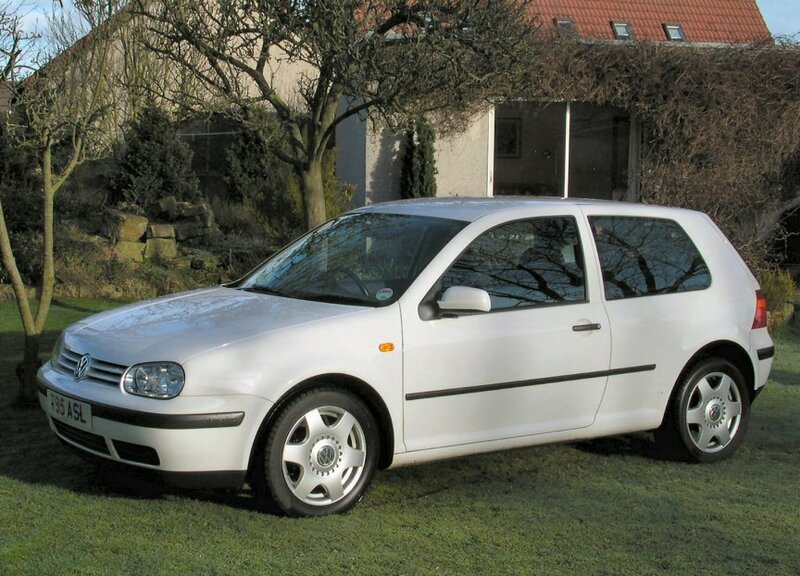 We bought this car new in March 1999, and it has been driven exclusively by my wife ever since, and has been maintained to the letter of the VW service schedule, with all the invoices available. It has done 90,000 miles, mainly because my wife does a 50 mile daily motorway commute, so it hasn't spent its life with a cold engine doing short trips. As a result it looks, feels and drives like a car with a third of this mileage. 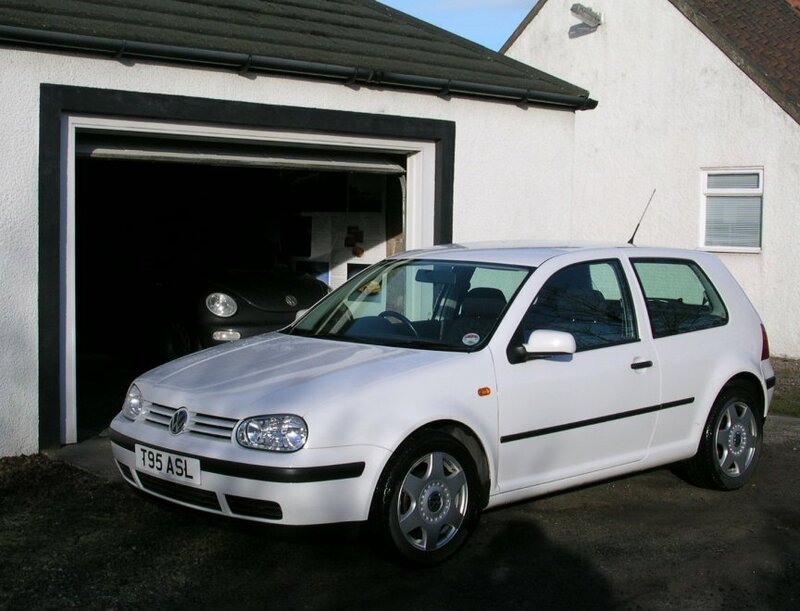 It is a 1.4S, three door in white. The S model comes with central locking, ABS brakes, four airbags, elec/heated mirrors, elec windows, height adjustable seats, and a decent radio cassette. 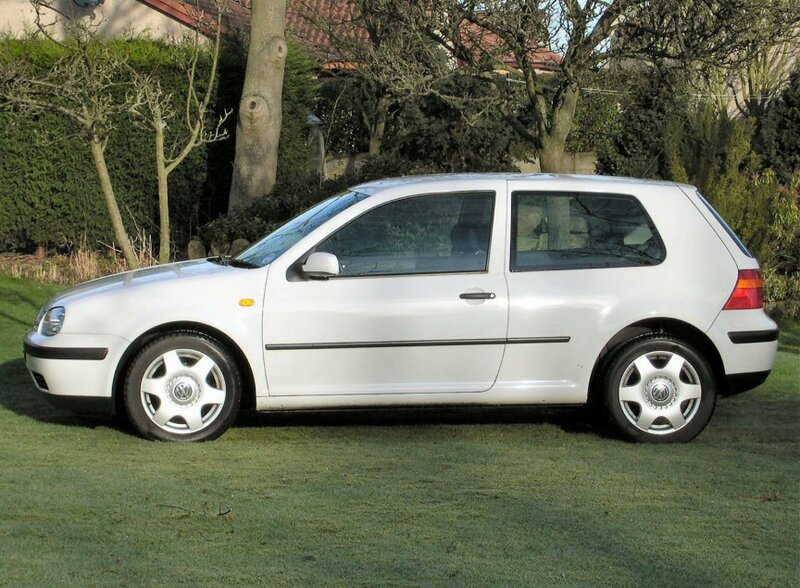 The car is also on 16" genuine VW alloys (from my Beetle) with 205 tyres, and the next owner will also get the original steel wheels, tyres and trims, which are virtually unused. The black cloth interior still looks as good as new, (a tribute to the fantastic build quality of the Mk4) has black VW floor mats, and I don't think the back seats have ever even been sat in. Click on the thumbnails below for some full views. 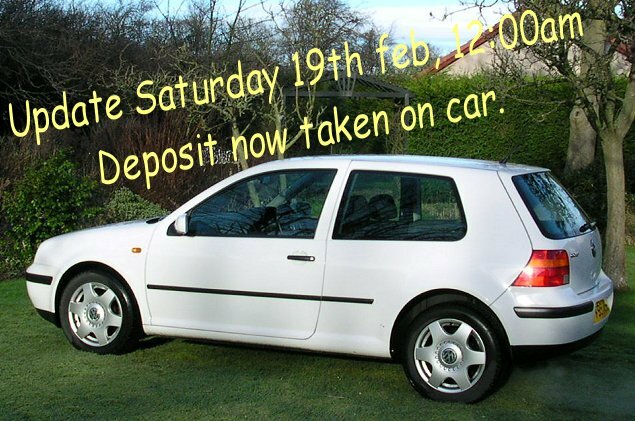 The car has just passed its annual MOT, (up to the 9th March 2006), and is road taxed to the end of August 2005. I am asking £3,750 for the car.